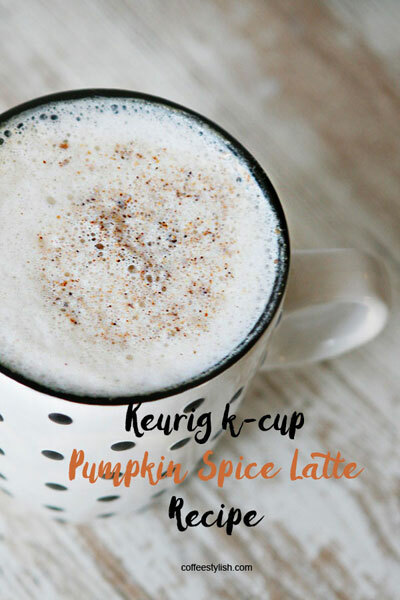 Make tasty pumpkin spice latte at home with Keurig, without a lot of work! 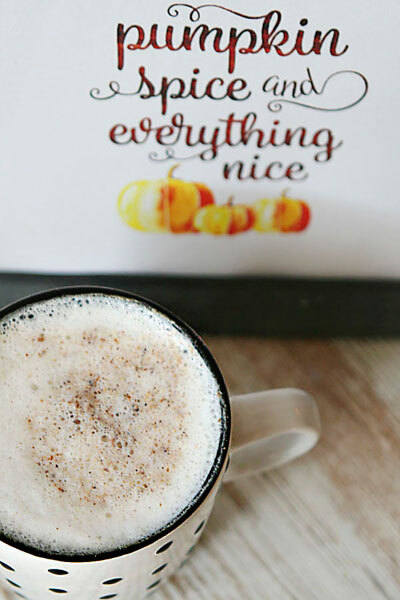 Making a homemade pumpkin spice latte with Keurig machine is easier than you think. All you need is your favorite k-cup, some fresh milk, and spices. This recipe is easy and quick, but the depth of flavor is phenomenal. Brew a k-cup at 4 oz cup setting. Add sugar, pumpkin pie spice and pumpkin puree. Stir. Heat the milk and slowly pour in while stirring. Garnish with whipped cream. *For vegetarian and dairy free, substitute milk with almond or coconut milk. Instead of milk and pumpkin pie spice, you could also use a liquid Pumpkin Pie Spice creamer. Simply brew one regular k-cup at your favorite cup setting, add 1-2 tbsp of creamer and stir. Making a homemade pumpkin spice creamer is easy too. You can also grab a box of Pumpkin Spice k-cups. Sure, it may lack the creaminess, but it’s convenient. Brew like any other k-cup, add a splash of milk and that’s all! It should be noted that this is a light roast, so if you’re like me and you like dark roasts this k-cup might be just too weak for your taste. For the best result, try brewing it at 4 or 6 oz cup setting.